" There are more old wine frinkers than old doctors "
The name FLOWA derives from FLO-wer & W-ine A-dvocate ， because in the beginning we did hope to promote flower as well as wine ， but finally we gave up flower and devote ourselves entirely to wine. Established since 1991 ， FLOWA has done a lot to promote wine in Taiwan. 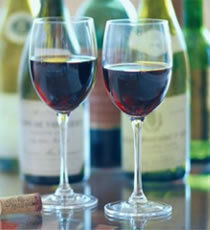 We would like to tell you what we can do to help anyone related to wine.